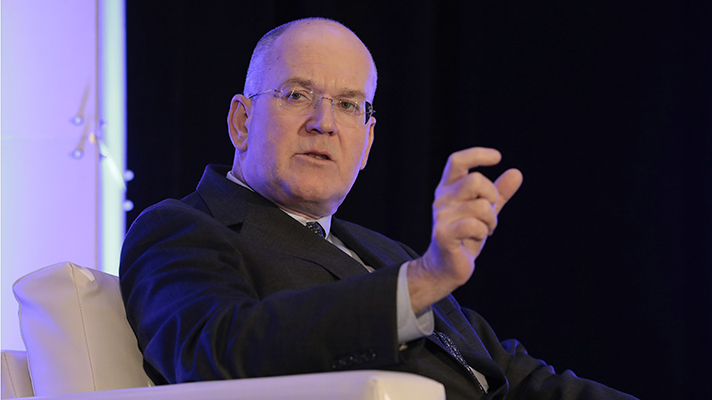 LAS VEGAS – In an evening session at HIMSS18 on Tuesday, National Coordinator for Health IT Donald Rucker, MD, sat down for a candid talk about an array of issues related to federal healthcare policy, interoperability, user experience, patient engagement and much more. Here's a sampling of what he had to say. There are two areas of focus we at ONC have these days, as we look at the status of electronic health records in the United States: One is usability and provider burden, and the other is interoperability. There's a great luxury, which I think is a rarity in Washington, that both houses of Congress, both parties, the prior president, the current president, are all united on these goals. If I know more as a provider about a patient, I'm going to be able to give better care. My clinical career has been in emergency medicine, and we're often in the ED guessing about what might have happened. Patients often forget things, and some are just unknowable. We have discussions about clinical document architecture, etc. But it is our belief that computer science will provide a variety of tools to help both providers and patients with a summarization of data. I don't think it's just going to be just a raw deluge that we can't process. If you look at data liquidity, you look at the rest of the world. And in that app economy, many use services that are absolute mash-ups, roll-ups of a variety of different app technologies. Uber and Lyft come to mind. We're living in an environment where the computer in your pocket or purse is creating lots of different business models. We absolutely anticipate that to happen in healthcare and some of it already is. Either you're looking at things that don't have medical data, or you're looking at things that just have medical data. You're not looking at things that synthesize knowledge about our environment and our lives and our behaviors with medical data. That is really the opportunity here. The whole usability burden is a complex thing. As we look at usability, it all looks like it's the all the computer. But it's a combination of things that have their location in a computer. ONC is doing reporting under Cures that is going to serve as guidance to CMS on reducing some of those burdens. John Fleming, our Deputy Assistant Secretary for Health Technology Reform, who has installed three separate EHRs over the years, is leading that work. We're trying to separate some of these things out: What's the user interface component of this, what's the documentation component, what's the reporting? We're dissecting it out and trying to address some of the issues. The Trusted Exchange Framework and Common Agreement is the concept that the various networks talk together: regional health information exchanges, Carequality, CommonWell, some other ones. Getting those to talk and leverage the work they've already done. And getting them to expand their use cases, which today are almost always narrowly defined as provider to provider. We should leverage them – direct to patient, to payers who buy all of our healthcare, so we can actually see what we're getting in this country when we purchase healthcare. What makes it hard is that you have to solve for multiple things at once. We have to solve simultaneously for just the physical wiring, the interoperability stack. We have to solve for the simple syntactic standards of data transmission. We have to come to some consensus for semantic interoperability: what was the meaning of what was transmitted. And then finally, we have to deal with the business case. And the business cases are hard to deal with because some of these cases are virtual things in the future, involving competitors, and business models that don't exist at the present. And if that weren't enough, we have to do it with privacy and security. That's what makes it hard. I think there are two powerfully exciting things about the end state, or at least as far as we can imagine. I think one is that patients control the data on their phone and the chart goes with the patient rather than the provider. I know that's a radical idea in an environment where the provider owns the chart and the patient moves around, but I think we're at a point where that can be reversed. And what that means is that there will be a whole different level of patient engagement. We've been a very passive country about healthcare. And as we get more information and re-engage in shopping – there's one thing Americans are good at, it's shopping. But we haven't really done very well shopping with healthcare.